The bison is a motor driven in the SLP Racing Series, the fastest production with hard plastic bodies, a fat engine just is not all! This engine is based on the same basic engine as Plafit Bison Igarashi, Carrera or Carrera Exclusiv Exclusiv Tuning engines. You get not only an engine of similar or comparable to, but 100% identical with the Bison I Engine, with very good acceleration and braking to go very well at a reasonable price. 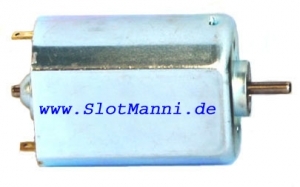 For trains with fewer amps and heavy 1:24 slot cars in continuous operation of this motor is recommended. 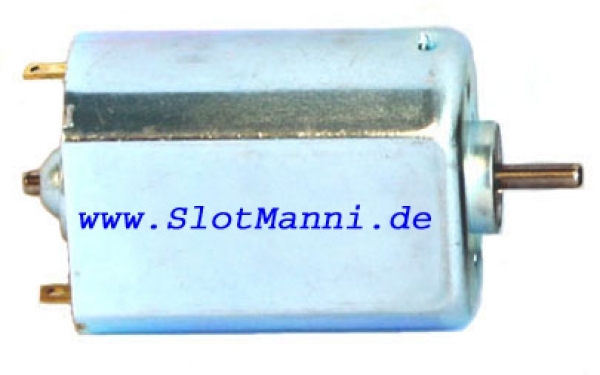 You buy 1 piece motor, the motor fits into a metal chassis with Bison, Buhler, Carrera engine mount. Fits all Carrera Exclusiv cars, same design, just great with old Carrera 16: 48 or 14: 50 Carrera new 14: 46, 12: 48 or 10: 50 ratio.